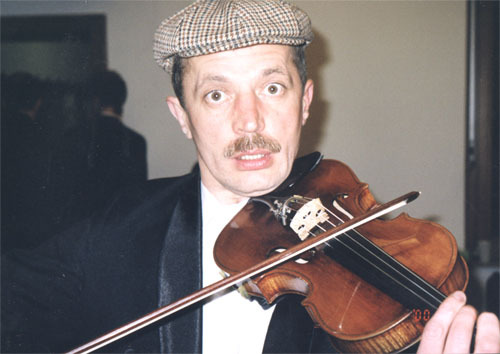 Violinist and arranger, well-known classical performer: winner of various competitions, long-time concertmaster of the St. Christopher Chamber Orchestra. Next to his work with the classical music ensembles, the violinist has always been interested in jazz. During his time with the orchestra, he initiated several projects together with jazz musicians, arranged jazz compositions for the orchestra. Having first appeared on jazz stage in 1981, the violinist was stuck between classical music and jazz for a long time. However, recently he has completely devoted himself to jazz and arranging. Vytautas Mikeliūnas leads and makes arrangements for the Beduin String Quartet, plays with various local jazz musicians. In his work, he explores the possibilities of blends of jazz and academic music. 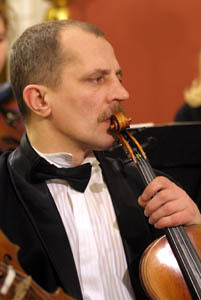 Besides his performing career, Vytautas Mikeliūnas is involved in teaching. Violinist Vytautas Mikeliūnas (b. 1958) is active in both jazz and classical scenes, and the influence of classical music is easily recognized in his jazz projects. 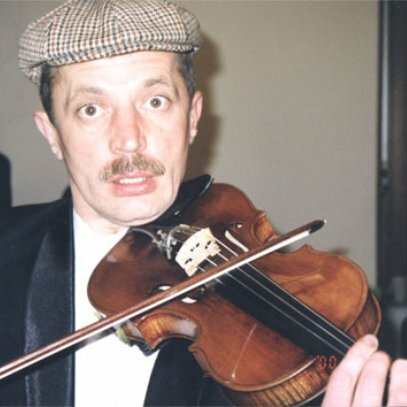 Vytautas Mikeliūnas has studied classical violin at the M. K. Čiurlionis School of Arts and the Lithuanian Academy of Music, and took jazz lessons with Vladimir Chekasin. While still studying he became a laureate at various classical music competitions including the Jaroslav Kocian International Violin Competition (1971) and the Herbert von Karajan Competition (as a member of string orchestra of the M. K. Čiurlionis School of Arts, 1976). After graduation besides working in various classical music collectives, the violinist kept his fascination with jazz alive. In 1981, he was a member of then-popular Kestutis Lušas' ensemble, and became a prize-winner at the Vitebsk Jazz Festival in 1982. Later he played in the Lithuanian Radio and Television Orchestra. 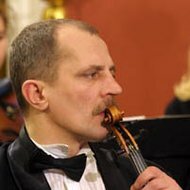 In 1995, Vytautas Mikeliūnas joined the St. Christopher Chamber Orchestra, served as its principal violin, toured extensively. While working in the orchestra he initiated several projects with jazz musicians Vytautas Labutis, Neda Malūnavičiūtė, Gediminas Laurinavičius; made numerous arrangements of jazz compositions for the orchestra. In 1999, he appeared in Jazz Fest Berlin as a soloist of the St. Christopher Chamber Orchestra. Recently he has been primarily working with the Beduin String Quartet which performs jazz compositions and Vytautas Mikeliūnas' arrangements. Stuck between classical music and jazz in the past, Vytautas Mikeliūnas recently has decided to dedicate himself to jazz. He collaborates with the masters of Lithuanian jazz Arūnas Šlaustas, Skirmantas Sasnauskas, Eugenijus Kanevičius, Danielius Praspaliauskis, Neda Malūnavičiūtė and Vytautas Labutis, leads his own groups and initiates various projects. Besides his performing career, Vytautas Mikeliūnas is involved in teaching - he has been on a faculty at the Vilnius College since 2004.